Subscribe to our CausesIssues&LifeEmpowerment listener magazine to receive information about ​upcoming programs, special guests, news, and more. 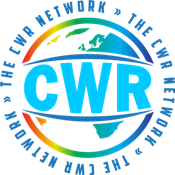 The CWR Talk Network is the causes, issues, and life-dynamics talk radio network. We focus on news and information about major causes and issues often overlooked by mainstream media, and important topics related to changing life-dynamics. We feature nationally known guests, many of whom are experts in their field. Our hosts are passionate about their work and their particular areas of emphasis. It is our goal to give a VOICE to those who feel there is no one to speak for them, and to assure them that their opinions and concerns matter. The CWR Rocks! We try to respond to all emails within 24 hours maximum.